To provide a launching point for youth into a lifetime involvement of SERVING JESUS through missions and ministry by connecting them with the mission field of TODAY! Our purpose is to CHALLENGE students, ages 10-20, to give their life for a CAUSE that is greater than anything they may have previously thought of or imagined. The CAUSE is the proclamation of the gospel of JESUS CHRIST to the whole world. We are intentionally seeking out students who are ready to go far beyond anything their iPhones, XBoxes, girlfriends, boyfriends, sports, clubs or even their college plans could ever offer them! The CHALLENGE is for students to live an Acts 1:8 lifestyle. Priority — Mission Connexion is a Biblically-based; Spirit-led, and prayer-empowered mobilizing movement that elevates the necessity and priority of missions in the local church. Holistic — We operate in a holistic mindset where Sending, Giving, Praying, Funding, Training, Going, and all the other multi faceted roles of the body of Christ are mobilized to fulfill the Great Commission. Local Church Driven — We lift up and focus on, the role of the local Church as the center of missions engagement, calling for action and sacrifice on the part of all so that the church can fulfill its calling. Unity & Collaboration — We promote and encourage multi-church and multi-agency participation in a collaborative and unified approach, connecting people to opportunities and discovering their God-given role in missions both locally and across the globe. Relational — We are supported, implemented and dependent upon volunteers and area churches. We respect the diversity in the body of Christ while promoting unity in our common task of taking the gospel of the Kingdom to every tongue, tribe, people and nation. DISCUSS the spiritual needs of the world around us (Romans 3:23). 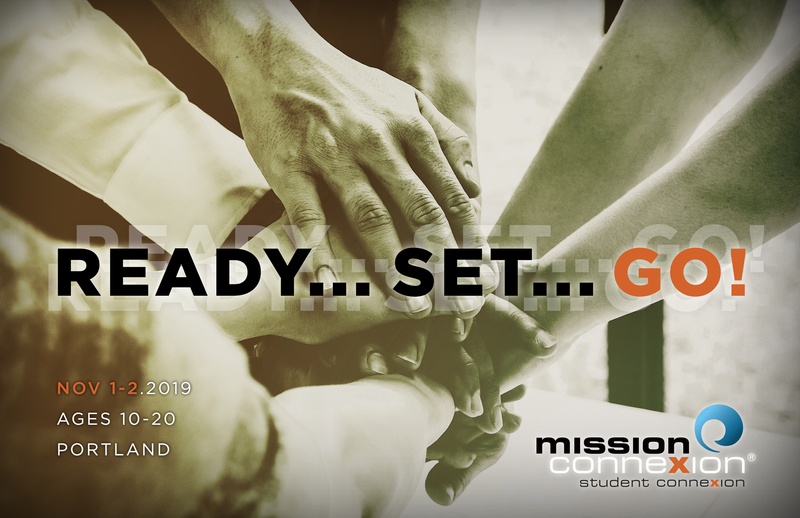 CONNECT students to the countless ways/opportunities in which they can actively participate in the mission field throughout the world today (Matthew 28:16-20). …or as we like to call it: D.E.C.K.